When it comes to cycling and your loved ones, we understand that you want their experience to be both fun and safe. 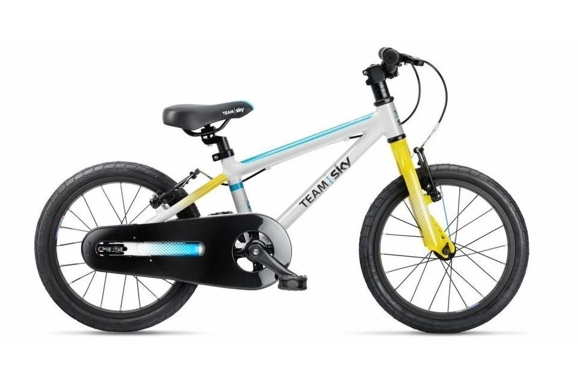 Whether you’re choosing a balance bike for a toddler, the first road or mountain bike for your pre teen or something special for a teenager, we have an extensive range of bikes and safety accessories to suit every stage of their cycling development. 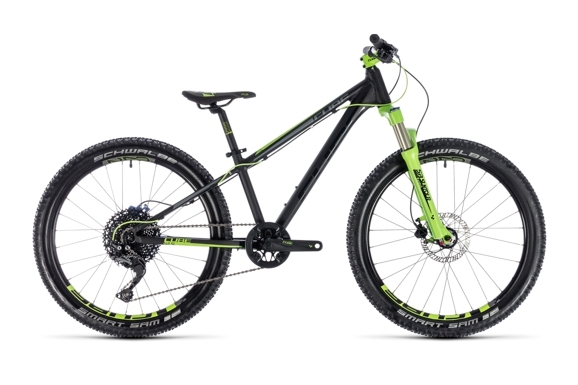 If the bike is a surprise present we only need their inside leg measurement and height to be able to match the bike of your choice to your loved one. Have any questions or looking for advice? 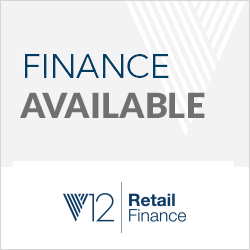 Telephone us on 01352 715716 or visit our showroom during open times, alternatively, you can find a wealth of information & specifications on our dedicated online webshop. The all-aluminium bike is suitable for a minimum inside leg of 69cm (around 10-12 years old). 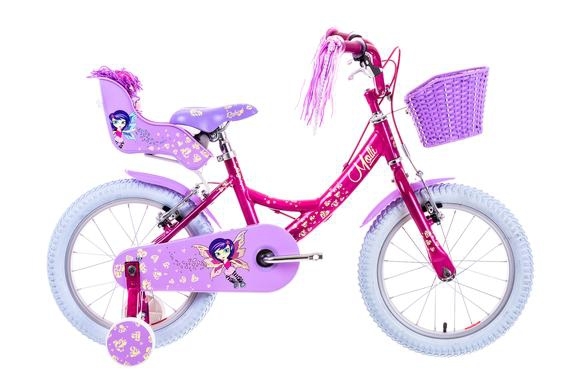 The Molli is every little girl's dream bike; with bright colours, streamers and their very own Molli Dolly, it will win the hearts of little girls all over the country in an instant. 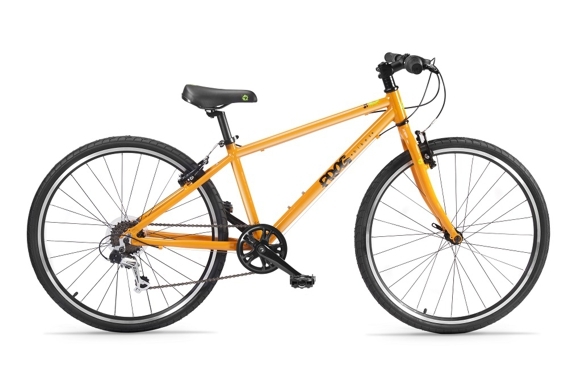 Built with a lightweight aluminium frame and high-rise handlebars, allowing a more upright riding position giving little riders increased visibility. The Molli also comes with stabilisers, which are an essential for your child's first bike, providing them with confidence during their first cycling adventures and allowing them to learn balance and coordination safely. The Molli features a front V-brake modulator which regulates the force that goes down to the front V-brake resulting in smoother braking and aluminium/resin brake levers, which are designed to be easily operated by little fingers and fitted with an adjustment screw to alter the sizing. Aluminium rims give an improved surface for the brake blocks to brake against and junior non-slip pedals, a safety feature Raleigh has been fitting to Children's bikes for years, which have been fitted with rubber pads to prevent feet slipping off. Each pair of non-slip pedals is carefully colour matched to fit the bike design. The Molli has a full chain guard which is colour co-ordinated with graphics to match the bike design and is a functional necessity. Not only does it stop the dirt getting on your child and their clothes but it also keeps the sharp edges of the chain wheel covered and away from little fingers. It also has front and rear coloured mudguards as standard. The iconic Raleigh Chopper returns with a limited edition retro style design. Combining chrome and the scooter Pearl White finish gives the classic bike a modern twist. The Chopper features Shimano 6 speed Revoshift gears alongside aluminium and aluminium/resin brake levers as well as aluminium V-brakes. With aluminium rims, cruiser style mudguards and aluminium micro adjust seat post, the Chopper has been designed to ensure functionality and style are provided. 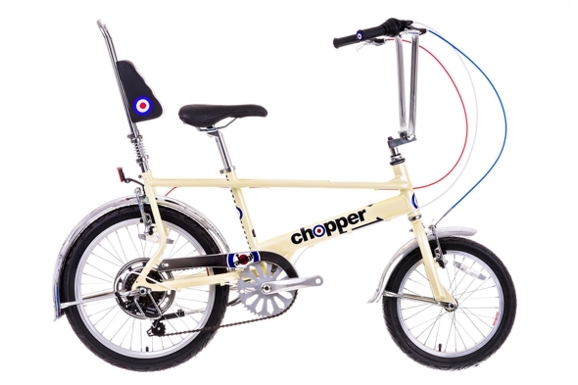 The Classic chopper features aren't forgotten about, the hanger bars and classic 16" front and 20" rear motorbike style tyres are still present alongside an aluminium kickstand. 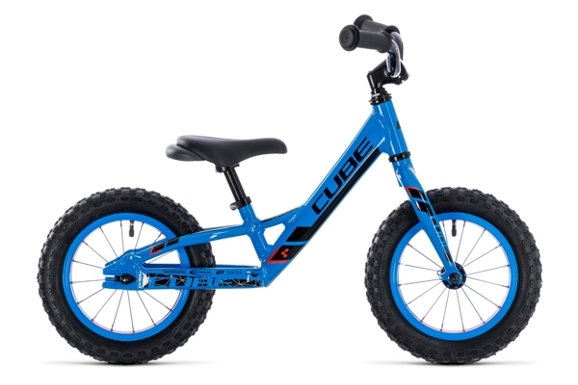 The Cubie 120 is the perfect way or kids to jump into the world of bikes. It's also - despite its simple appearance - stacked with useful details. A special handlebar setup - with integrated steering angle limiter - helps prevent accidents caused by trying to steer too enthusiastically. We even integrated a carrying handle into the seat, so that parents can scoop up the Cubie 120 and carry it easily when their child's adventurous spirit has wanted. Proper pneumatic tyres provide comfort, roll easily and make the ride fun. As for the lack of brakes... well, experience shows that kids this young don't have the finger strength and coordination required to brake safely. That's why this is a bike that's both propelled and stopped by your child's feet. It's the ideal way to discover the fine art of balancing, build confidence and generate enthusiasm for life on two wheels.